This Newly Discovered Fossil Shows The Ocean's "First Real Big Predator"
Thanks to a new fossil discovery, you can picture 5.5 foot long predacious sea scorpions swarming through Iowa's idyllic corn fields. 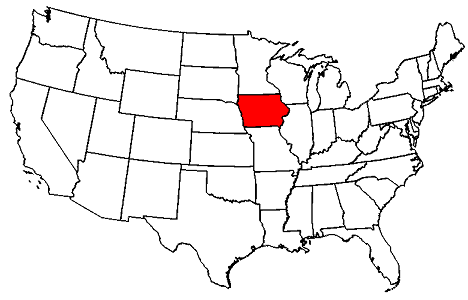 But if you do think about Iowa, you probably picture corn fields and butter cows. And now, thanks to a new fossil discovery that's really putting Iowa on the map, you can picture 5.5 foot long predacious sea scorpions (for emphasis, we're talking about a scorpion that's as tall as Tom Cruise) swarming through those idyllic corn fields. 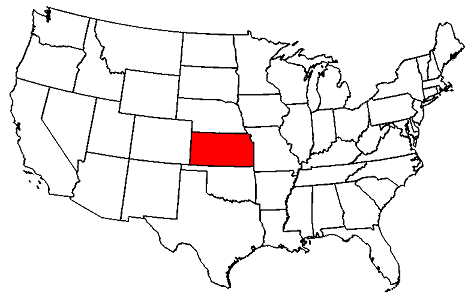 But presidential candidates campaigning in Iowa can rest easy—the newly identified fossil (Pentecopterus decorahensis) is around 460 million years old, found in a crater produced by a meteor smashing into the ocean that used to cover Iowa. 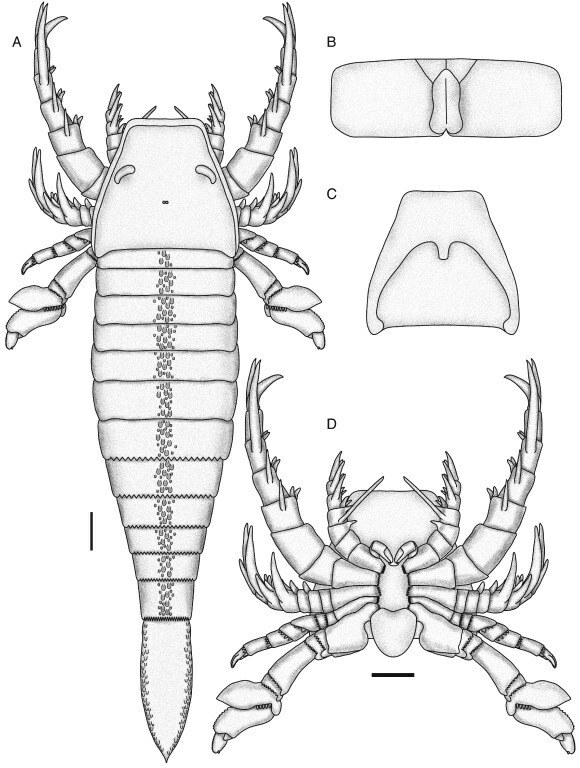 That makes it the oldest sea scorpion ever discovered, by about 10 million years. It's also one of the most bizarre. 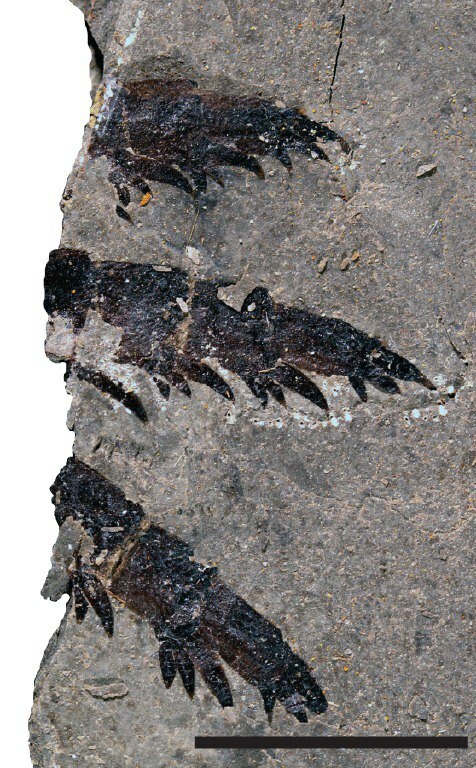 Because the fossil was so well preserved, even showing patterns of small hairs on the legs, researchers were able to figure out a lot about the purpose of different body parts: like the twelve claws coming out of its head (for capturing prey and stuffing it into its mouth), or its giant spiked tail (surprisingly not terrifying: not for stinging as you would expect, but just for swimming). As lead author James Lamsdell said in a statement, "At times it seems like you are studying the shed skin of a modern animal - an incredibly exciting opportunity for any paleontologist." This might not be the last you hear of this bizarre family of angry sea bugs. The researchers concluded that the complexity of the scorpion's body means that it either evolved incredibly quickly, or that "earlier representatives [of the species], possibly Cambrian in age, remain to be discovered." Hopefully they're still just talking about fossils!